The President of SHRA, Mr. Hammad, is visiting Uganda over Easter. During his stay he will meet representatives from funding agencies, co-operating partners and staff at SHRA. 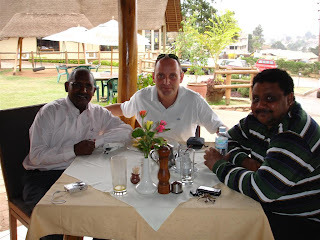 The stop-over in Kampala is the last in a tour which has also included Sudan. Mr. Hammad returns to Canada Sunday. The pic shows Mr. Hammad (L) during an informal meeting with SHRA Human Rights Advisor, Mr. Thorning (C) and Secretary General, Mr. El-Gahdi (R). 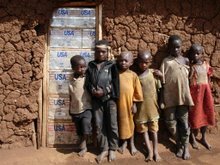 Cash-strapped WFP: Crisis Around the Corner?